We’re very excited to feature Belfast-based Dishyouwerehere.com as our blog of the month. 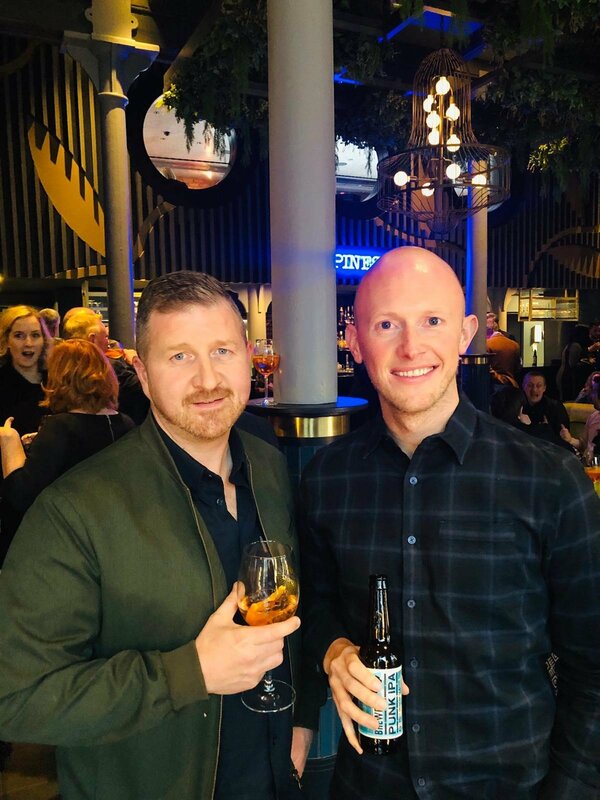 Dishyouwerehere is a luxury food, travel and lifestyle blog headed up by partners, Chris Turkington and Martin O’Neill. The blog places an emphasis on luxury, high end travel, dining experiences and everything else food related. Dishyouwerehere was founded approx 3 years ago, formed from their love of food and travel and their desire to share it with the world. We asked Chris and Marty, who have just come back from a trip to Edinburgh with Stena Line, a few questions about what they like about ferry travel, some of the great ‘foodie’ destinations that they have been to by ferry and their top tips for travelling by ferry in style. What do you like about travelling by ferry? We absolutely love to travel by ferry as we feel it offers an unparalleled start to the holiday. The entire thing is just so stress free when compared to travelling by plane; from arriving within 30 minutes of embarkation, the chilled check in, the luxury lounges, shopping and spa facilities and the amount of space you have to explore – it’s no wonder why it’s one of our favourite ways to travel! Initially, we were quite dubious about travelling by ferry as we were unsure of the facilities that would be offered onboard the boats. Of course, as soon as we took the plunge we were pleasantly surprised with how well appointed some ferries can be. The travel time can be off-putting for many people but for us it gives us time to chill out and enjoy the journey – especially when there can be so much to keep you occupied onboard. What is the best foodie destination you have been by ferry, and why? Last summer, as part of a foodie road trip, we travelled to France by ferry. The crossing is approximately 16 hours but the facilities on the boat were great so the time flew by. We drove the length of France in a matter of days to arrive in the south of France, primarily Bordeaux. The food scene in Bordeaux is out of this world and we happily ate our way around the city in a matter of days. Inspired by last year’s road trip through France we are planning on taking the ferry to France once again, but this time driving to Italy. This will of course involve quite a bit more driving but with a fully stocked car and the SatNav pointing the way we are confident we will make it! There is so much incredible food and scenery to experience in Italy that we may have to extend our usual two weeks to one month – just to be sure that we aren’t missing anything. What are your top tips for people planning to go on holiday by ferry? – even though most ferry journeys are over within a matter of hours, we still prefer to book a suite as this gives you somewhere to relax entirely- You have your own private space, with shower and television, where you can unwind away from everyone else. – if there are spa facilities, book yourself in – there is something quite incredible about bobbing about in a hot tub whilst traversing the Irish Sea in an ocean liner. – bring a portable power pack for your phone/laptop – you will be snapping and recording so much of your journey that your battery will most likely run out (ours always does) A battery pack will ensure you always have enough juice to keep the camera rolling.